Welcome to my online playspace: DTLA Hustler! My name is Charles St. Anthony, author of several memoirs and short reads on the gig economy. My books have hit #1 on Amazon’s “humorous short-reads” and “memoirs of actors/entertainers” rankings. They are available as paperback and as eBook. Peep the details on my catalog below. DTLA Hustler hit #1 on Amazon’s humorous short reads category in December 2018. See how Charles used Postmates to explore the downtown Los Angeles fusion food scene while losing weight doing the deliveries on bicycle or foot. It was a win-win-win situation. All this winning can be yours if you check out DTLA Hustler via eBook or paperback here. She’s sitting on a secret. Meet the freaks, learn the tricks of the trade, and laugh out loud reading Charles take on rideshare. Learn how to become a 5 Star driver or how to avoid getting spanked with 1 Star for being a bad passenger. 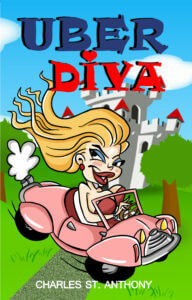 Packed with cute illustrations and informative visuals, check out Uber Diva here today! Charles St. Anthony dreamed of living in San Francisco his whole life, and after a sudden return to the USA from Japan, he makes his way to the Bay. In this novella-sized mini-memoir, Charles finds the humor in every situation—whether it be a series of dating fiascoes in the Castro or beating a path down to Silicon Valley. He takes you on a tour of the New Age Babylon by the Bay. Who’s your daddy? Pick up a copy here today! Charles St. Anthony graduated from Columbia University with a degree in East Asian Studies. 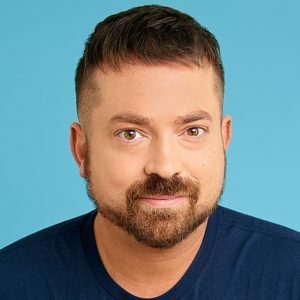 After conquering the airwaves of Japan for 12 years, he returned to the US where he released “Impossibly Glamorous” – his book about gay life in Japan and the American celebrities he met overseas. He followed this up with “San Francisco Daddy” and “Uber Diva.” He now plays and resides in Los Angeles where he continues his work as a wit and humorist #HollywoodLife. Charles St. Anthony has a passion for Korean barbecue, New Wave dance music, and underwater basket weaving. He maintains the handle @kingcharles0921 on Instagram and Twitter. Charles has released 5 books including humorous memoirs, gig economy short reads, and a photography collection. Check them on out on Amazon here or other online retailers such as Google Play, Barnes & Noble, iTunes, and Kobo.